Anti-Americanism can be defined as having unfavorable views on American policies along with its social, economic, political and cultural system or American people themselves; opposing their adverse local and global impacts. Anti-Americanism can be examined under variety of typologies according to Katzenstein and Keohane. This study examines factors such as unilateralism and aggressive attitudes of the US that led to a rise in Anti-Americanism in the post-Cold War era. After pointing out the rise of global Anti-Americanism in critical areas such as Europe, Middle East, Russia and Asia under Trump administration; global reactions to some specific Trump policies, such as proposing a wall on the Mexican border, withdrawal from trade, Iran nuclear and climate change agreements and restricting travel from some Muslim countries are also analyzed in the study. It is aimed to indicate the current trends in Anti-Americanism on many issues ranging from confidence in the US President to expectation of relations with the US and various aspects of Anti-Americanism by using the data from PEW Research Center 2017 questionnaire. Notwithstanding the rise in global anti-Americanism in the Trump era, the global alliance system that has been established by the US still compels many governments to stay close to the US. Amerikan karşıtlığı, Amerikan politikaları ve ABD’nin toplumsal, ekonomik, siyasi, kültürel yapısı veya Amerikan halkı hakkında olumsuz fikirlere sahip olmak; bunların olumsuz küresel ve yerel etkilerine karşı çıkmak olarak tanımlanabilir. Keohane ve Katzenstein’e göre Amerikan karşılığı çeşitli tipolojiler altında incelenebilir. Çalışmada Soğuk Savaş sonrası dönemde Amerikan-Karşıtlığının artmasına neden olan tek taraflılık ve ABD’nin saldırganca tutumu gibi faktörler incelenmiştir. Donald Trump döneminde küresel Amerikan-Karşıtlığının Avrupa, Orta Doğu, Rusya ve Asya gibi bölgelerde arttığı belirtildikten sonra; Meksika sınırına duvar örülmesi önerisi, bazı ticaret antlaşmalarından, İran nükleer silah anlaşmasından, iklim değişikliği anlaşmasından çekilmek ve bazı Müslüman ülkelerden seyahate kısıtlama gibi bazı spesifik Trump politikalarına verilen küresel tepkiler analiz edilmiştir. Çalışmada Amerikan başkanına güvenden, ABD ile ilişkilerin yönü beklentileri ve çeşitli bölge ve ülkelerdeki Amerikan karşıtlığının farklı boyutlarına kadar birçok konuda 2017 yılı PEW araştırma merkezi anketindeki veriler kullanılarak Amerikan karşıtlığındaki eğilimler gösterilmeye çalışılmıştır. Her ne kadar küresel Amerikan karşılığı Trump döneminde daha da yükselse de ABD’nin kurduğu küresel ittifak sistemleri hala pek çok ilgili hükümeti ABD’ye yakın durmaya zorlamaktadır. Autor, D., Dorn, D., Hanson, G. ve Majlesi, K. (2016). Importing political polarization? The electoral consequences of rising trade exposure. National Bureau of Economic Research Working Paper Series, No. 22637. Azarian, B. (2017, Aralık). An analysis of trump supporters has ıdentified 5 key traits. Psychology Today. www.psychologytoday.com-/us/blog/mind-in-the-machine/201712/analysis-trump-supporters-has-identified-5-key-traits (Erişim Tarihi: 15.05.2018). BBC News. (2017). Trump executive order pulls out of TPP trade deal. BBC News. www.bbc.com/news/world-us-canada-38721056 (Erişim Tarihi: 11.06.2018). BBC News Türkçe. (2018a). ABD Başkanı Trump’tan “gümrük vergisiz G7” teklifi. BBC News Türkçe. www.bbc.com/turkce/haberler-dunya-44424943 (Erişim Tarihi: 18.07.2018). BBC News Türkçe. (2018b, 4 Nisan). Trump “Suriye’den çıkabiliriz” dedi, danışmanları aksini söyledi. BBC News Türkçe. www.bbc.com/turkce/haberler-dunya-43636807 (Erişim Tarihi: 16.06.2018). Bryant, N. (2015, 10 Temmuz). The decline of US power? BBC News. www.bbc.com/news/world-us-canada-33440287 (Erişim Tarihi: 12.06.2018). Brzezinski, Z. (2009). An Agenda for NATO: Toward a Global Security Web. Foreign Affairs, 88(5), 2–20. Buruma, I. (2017). Life After Pax Americana. Project Syndicate. www.project-syndicate.org/commentary/life-after-american-hegemony-by-ian-buruma-2017. (Erişim Tarihi: 11.08.2018). Ceaser, J. W. (2003). Amerikan Karşıtlığının Kısa Tarihi. The Public Inte-rest, Yaz 2003(Yaz 2003), 3–18. CIA. (2018). The World Factbook. Central Intelligence Agency. CIA. www.cia.gov/library/publications/the-world-factbook/ (Erişim Tarihi: 15.06.2018). Dennison, S., Pardijs, D. ve Shapiro, J. (2016). Fear and loathing on the road to the US elections. London European Council on Foreign Relations (ECFR). Dinç, C. (2017). Avrupa Birliği’nin Küresel ve Bölgesel Politikaları. C. Dinç ve B. Akkuş (Ed. ), Küresel ve Büyük Güçlerin Stratejileri için-de (ss. 91–120). Ankara: Orion. Dinç, C. ve Esentürk, N. (2018). Avrupa ve Amerika Birleşik Devletleri Arasındaki İlişkide Dönüşümler (2001-2017). Gazi Akademik Bakış, 11(22), 41-76. Erlanger, S. (2017, 11 Ekim). German Foreign Policy Experts Warn Against Anti-Americanism. The New York Times. www.nytimes.com/2017/10/11/world/europe/germany-trump-antiamericanism.html (Erişim Tarihi: 15.05.2018). Fabbrini, S. (2003). The Domestic Sources of European Anti-Americanism. Government and Opposition, 37(1), 3–14. Fischer, J. (2016). Goodbye to the West. Project Syndicate. www.project-syndicate.org/commentary/goodbye-to-american-global-leadership-by-joschka-fischer-2016-12 (Erişim Tarihi: 10.06.2018). Foucault, M. (1980). Power/kowledge: selected interviews and other writings 1972-1977. Pantheon Books. Friedman, M. P. (2008). Anti-Americanism and U.S. Foreign Relations. Diplomatic History, 32(4), 497–514. Globescan. (2017). Sharp Drop in World Views of US, UK: Global Poll. http://globescan.com/sharp-drop-in-world-views-of-us-uk-global-poll/ (Erişim Tarihi: 15.06.2018). Haass, R. N. (2008). The Age of Nonpolarity: What Will Follow U.S. Dominance. Foreign Affairs, 87(3), 44. Higley, J. (2006). The Bush Elite: Aberration or Harbinger. B. O’Connor ve M. Griffiths (Ed. ), The Rise of Anti-Americanism içinde (ss. 155–168). New York: Routledge. Huntington, S. P. (1999). The Lonely Superpower. Foreign Affairs, 78(2), 35. Hürriyet. (2017). Hamaney, Suudi Arabistan’a çok sert çıktı. Hürriyet. www.hurriyet.com.tr/dunya/hamaney-suudi-arabistana-cok-sert-cikti-40472219 (Erişim Tarihi: 10.06.2018). Hürriyet. (2018, 18 Haziran). Donald Trump: “ABD bir göçmen kampı olmayacak”. Hürriyet. www.hurriyet.com.tr/dunya/donald-trump-abd-bir-gocmen-kampi-olmayacak-40870974 (Erişim Tarihi: 20.06.2018). Hussain, M. (2017, 24 Eylül). The View From the End of the American Empire. The Intercept. theintercept.com/2017/09/24/decline-american-empire-donald-trump/ (Erişim Tarihi: 11.08.2018). Islam, I. (2006). Anti-Americanism in the Muslim world A sceptic’s gu-ide. B. O’Connor ve M. Griffiths (Ed. ), The Rise of Anti-Americanism içinde (ss. 68–90). New York: Routledge. Johnston, A. I. ve Stockmann, D. (2007). Chinese Attitudes toward the United States and Americans. P. Katzenstein ve R. Keohane (Ed. ), Anti-Americanisms and World Politics içinde (ss. 157–195). New York: Cornell UP. Kagan, R. (2002). Power and Weakness. Policy Review, 113(Haziran-Temmuz 2002). Katzenstein, P. J. ve Keohane, R. O. (2007). Varieties of Anti-Americanism. P. J. Katzenstein ve R. O. Keohane (Ed. ), Anti-Americanisms in World Politics içinde (ss. 9–38). New York: Cornell UP. Kimer, J. (2011). Why Americans Don’t Understand Anti-Americanism. www.robertamsterdam.com. robertamsterdam.com/why_americans_dont_understand_anti-americanism/ (Erişim Tarihi: 07.05.2018). Lewis, B. (1990). The Roots of Muslim Rage. Atlantic Monthly, (September 1990), 47–60. Lieber, K. A. ve Alexander, G. (2005). Waiting for Balancing: Why the World Is Not Pushing Back. International Security, 30(1), 109–139. Lynch, M. (2007). Anti-Americanisms in the Arab World. P. J. Katzenstein ve R. O. Keohane (Ed. ), Anti-Americanisms and World Politics içinde (ss. 196–224). New York: Cornell UP. Meunier, S. (2007). The Distinctiveness of French Anti-Americanism. P. J. Katzenstein ve R. O. Keohane (Ed. ), Anti-Americanisms in World Politics içinde (ss. 129–156). New York: Cornell UP. Mitchell, T. (2002). McJihad: Islam in the U.S. Global Order. Social Text, 20(4), 1–18. Naim, M. (2001, 7 Aralık). Why the World Loves to Hate America. Financial Times. Nye, J. E. (2018). Globalisation and anti-Americanism. Project Syndicate. www.project-syndicate.org/commentary/globalization-and-anti-americanism (Erişim Tarihi: 15.06.2018). O’Connor, B. (2007). The anti-American tradition: A history in four phases. B. O’Connor ve M. Griffiths (Ed. ), The Rise of Anti-Americanism içinde (ss. 11–24). New York: Routledge. Oylupınar, H. (2017). Rusya Federasyonu’nun Küresel ve Bölgesel Düzeni Anlayışı ve Yaklaşımı. C. Dinç ve B. Akkuş (Ed. ), Küresel ve Büyük Güçlerin Stratejileri içinde (ss. 175–200). Ankara: Orion. Pew Research Center. (2006). America’s image slips, but allies share U.S. concerns over Iran, Hamas (C. 2007). www.pewglobal.org/reports/display.php?ReportID=252 (Erişim Tarihi: 10.05.2018). Pew Research Center. (2007). America’s Image in the World: Findings from the Pew Global Attitudes Project. www.pewglobal.org/2007/03/14/americas-image-in-the-world-findings-from-the-pew-global-attitudes-project/ (Erişim Tarihi: 10.05.2018). Pew Research Center. (2017a). U.S. Image Suffers as Publics Around World Question Trump’s Leadership. Pew Research Center, 1–108. www.pewglobal.org/2017/06/26/u-s-image-suffers-as-publics-around-world-question-trumps-leadership/ (Erişim Tarihi: 15.06.2018). Pew Research Center. (2017b). Globally, People Point to ISIS and Climate Change as Leading Security Threats. www.pewglobal.org/2017/08/01/globally-people-point-to-isis-and-climate-change-as-leading-security-threats/ (Erişim Tarihi: 10.06.2018). Pew Research Center. (2018). Trump ’ s International Ratings Remain Low , Especially Among Key Allies. www.pewglobal.org/2018/10/01/trumps-international-ratings-remain-low-especially-among-key-allies/ (Erişim Tarihi: 10.10.2018). 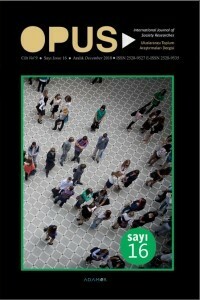 Reints, R. (2018, Ağustos). Emmanuel Macron Says Europe "Can No Longer Rely" on U.S. for Defense. Fortune. www.fortune.com/2018/08/27/macron-europe-no-longer-rely-on-united-states/ (Erişim Tarihi: 10.10.2018). Reuters. (2018, 16 Haziran). China state media condemn U.S. tariffs, leave room for negotiation. Reuters. www.reuters.com/article/usa-trade-china-media/china-state-media-condemn-us-tariffs-leave-room-for-negotiation-idUSL4N1TI01S (Erişim Tarihi: 16.08.2018). Rodionova, Z. (2017, 8 Ağustos). Japanese PM urges companies to deliver “tweetable” figures of their US investment plans for Donald Trump. The Independent. www.independent.co.uk/news/business/news/japan-prime-minister-shinzo-abe-companies-tweetable-figures-us-investment-plan-donald-trump-present-a7568411.html (Erişim Tarihi: 10.09.2018). Rynning, S. (2007). Peripheral or Powerful? The European Union’s Strategy to Combat the Proliferation of Nuclear Weapons. European Security, 16(3–4), 267–288. SIPRI. (2017). SIPRI Military Expenditure Database. SIPRI. www.sipri.org/databases/milex adresinden erişildi. (Erişim Tarihi: 15.06.2018). Stiglitz, J. E. (2018, 2 Ocak). The US Donor Relief Act of 2017. www.project-syndicate.org/commentary/trump-republican-tax-legislation-by-joseph-e--stiglitz-2018-01 (Erişim Tarihi: 10.07.2018). Talbot, B. J. (2008). The Transatlantic Gap over Iraq. European Security, 17(1), 61–84. The Economist. (2017). Xi and Trump look friendly, but anti-US feeling stirs in China. The Economist, (Kasım). www.economist.com/china/2017/11/09/xi-and-trump-look-friendly-but-anti-us-feeling-stirs-in-china (Erişim Tarihi: 10.07.2018). Wikipedia Contributors. (2018a). Composite Index of National Capability. Wikipedia, The Free Encyclopedia. www.wikiwand.com/en/Composite_Index_of_National_Capability (Erişim Tarihi: 18.06.2018). Wikipedia Contributors. (2018b). Gulf Cooperation Council. Wikipedia The Free Encyclopedia. www.wikiwand.com/en/Gulf_Cooperation_Council (Erişim Tarihi: 25.06.2018). Witte, G. ve Birnbaum, M. (2018, 19 Mayıs). As tensions with Trump deepen, Europe wonders if America is lost for good. The Washington Post. www.washingtonpost.com/world/europe/as-tensions-with-trump-deepen-europe-wonders-if-america-is-lost-for-good/2018/05/18 (Erişim Tarihi: 10.07.2018). Wright, J. (2006). The importance of Europe in the global campaign against terrorism. Terrorism and Political Violence, 18(2), 281–299.